Guys, it's knee jerk populist agenda. Problem perceived, solution offered, elected officials make law (after consulting with their big money lobbyists) and maybe, just maybe, the result is actually successful in bringing about a desired effect. As spazsdad notes, panders to the public perception, though I would point out that some "low information voters" aren't idiots. Quite the opposite. It comes down to a spin on the "Zero Sum" economics theory. In this case, what footprint is our population actually placing on the planet's ability to sustain resources? Most regulations placed on the consumer are only a drop in the environmental bucket of resources and waste. bhblue- Thanks for the link. Granted, biased slant to be sure, but even the most simple math might reveal that the increased weight of transporting paper bags to stores in place of plastic might use more fossil fuel in shipping that saved by converting consumer bagging at stores from plastic to paper. Basic American philosophical question - "How does it affect the bottom line?". Therein lies an answer. JG - The fact that polyethylene, the resin used for grocery bags, does not leech any toxins has nothing to do philosophies or bottom lines. How about you find a source that shows HOPE does leech, DC? In the case of liberal agenda that is hardly the case. They don't care because it is never their money being spent. As spazsdad notes, panders to the public perception, though I would point out that some "low information voters" aren't idiots. I never said they were idiots just that swallow whole the propaganda from many various social causes. They will tell you something is bad because someone told them it is bad without ever being able to explain why, or how, or even if it is bad. Especially prevalent regarding environmental issues. It's easy for me to accept sides can disagree on these various issues but as soon as it's suggested one side is more susceptible to swallowing hook, line and sinker, then I find a response to be necessary. First, we have the two threads here. One has readily swallowed how California is foolish in her environmental concerns and the other has gulped down the "global cooling" theme. Both themes being presented by Conservatives passing along everything they accept to be true. Please tell me which political side is absorbing and promoting propaganda in these two cases here? Conservatives will tell you lowering tax rates will increase revenue and then ignore how after Bush lowered rates, revenues dropped three of the eight years, when compared year to year. Unprecedented in our history. Conservatives will tell you providing preventive care to poor citizens is bad and ignore the lives that have been saved thanks to early detection. I suppose they've been convinced the cost to save these lives is prohibitive but, to show how easily they can swallow a theme of a different flavor, they're quick to join the crowd who questions this President, with regards to international affairs, for not taking supposed life saving steps immediately and at any and all costs. Add in those here who took their serving of "orbital fracture" and "a dozen eyewitnesses with contrary testimony" in our recent Missouri case, shared it with all of us, without hesitation, as maybe being factual, and I think I've made a fair case how all sides are capable of being spoon fed. I'm guessing almost everybody knew this already. Edit: Oh yeah. I remember many on the Right promoting a theme that gay marriage would hurt traditional marriage. I just passed 41 years this month and I see no truth to the claim whatsoever. Now I suppose we should get back to the subject at hand. So, jump in, throw out a bunch of off-topic, tired old liberal talking points, then say it's time to get back to the thread topic. mikec - One shot at me personally by name, a shot at the supposed Liberal agenda, and a shot at low information voters, code for Liberals, and you hoped they'd all go unchallenged? Your friends on the Right are the ones who hijacked your goal to discuss the wisdom of California, as it relates to environmental concerns, not me. spazsdad- Poor sentence structure on my part, as it did put words in your mouth. I was just advancing a point that I believe we share in common opinion. That some who should don't do enough background research before supporting the common cause of the moment. Something catches fire in the media, social or otherwise, bandwagon acceptance, though no one actually pauses to ponder. Hey Dewey, you forgot to mention that gays can openly serve in the military. Not to anyone's benefit but by god let them express themselves and the rest of us be dammed. I finally feel proud to be an American. How many billions will this all cost? Where will the money come from? CA and other Socialists states are like an alcoholic, or Meth/Heroin addict. They just haven't hit rock bottom, or haven't had an interdiction that cut off their supply of OPM yet. 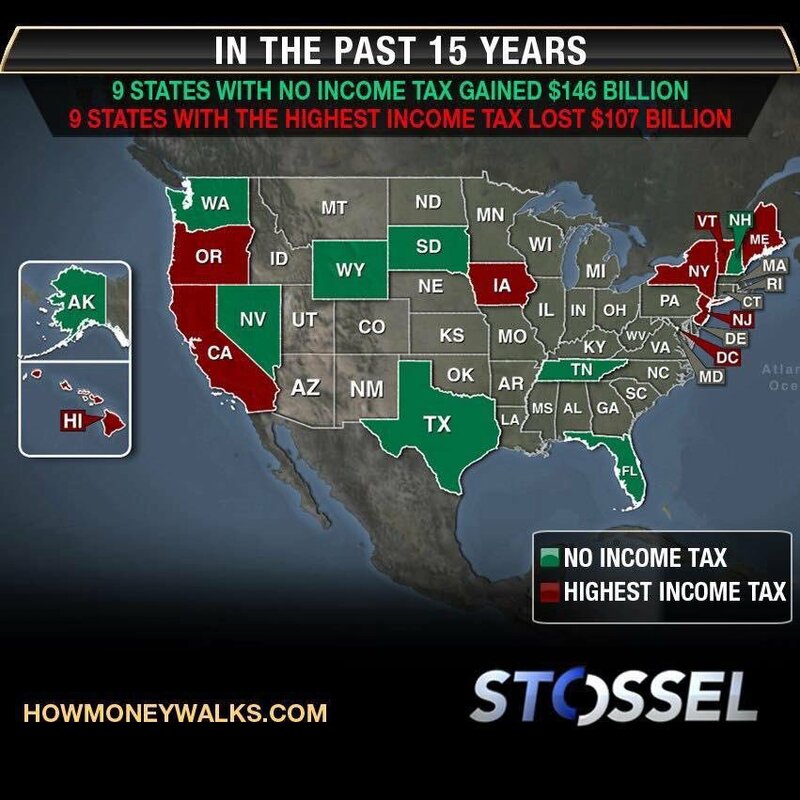 I am sensing an end of 'no income tax' in washington state. They are really struggling with the 11% sales tax. That is not enough for them. They also have a 20-something percent sugar taxes on soda, candy etc. A veritable liberal utopia. Here in SoCal the homeless problem is out of control. A high percentage of those people have drifted here from other states. It wouldn't surprise me if someone is paying for their bus ticket out here. And just like the illegals there has cropped up a whole activist network enabling these people with ever increasing handouts and obstructing efforts to eradicate them with screams of rights violations. Bad in Hawaii too. Remember the song verse, "I'm going where the weather suits my clothes"? Midnight Cowboy?